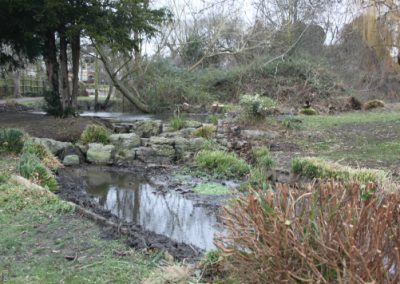 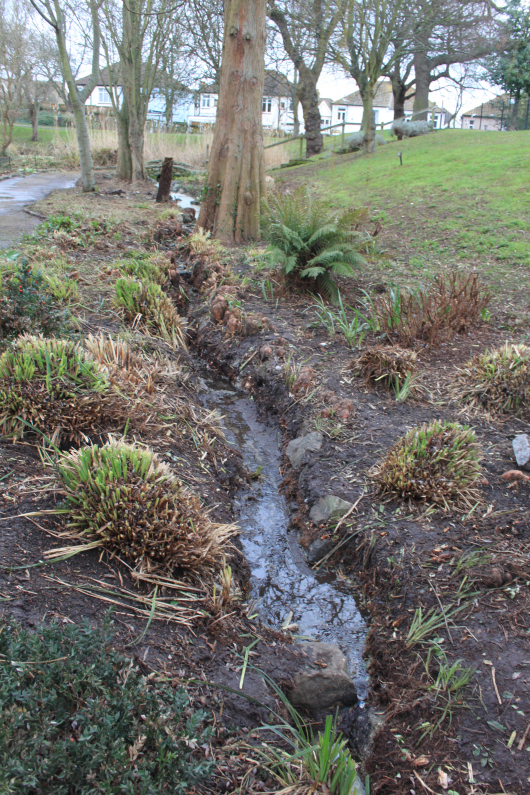 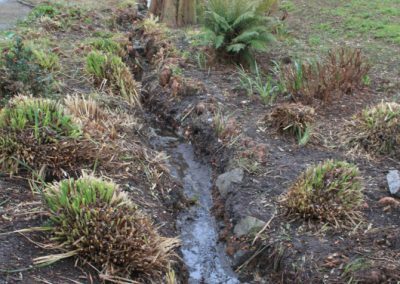 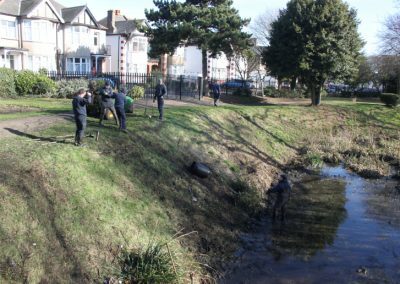 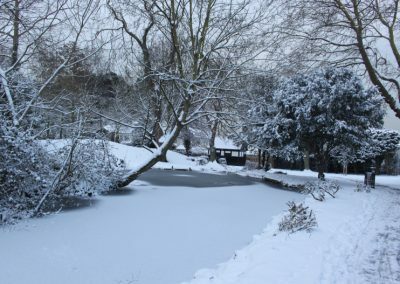 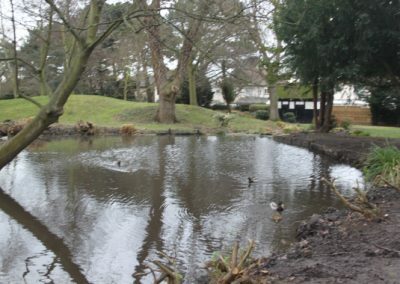 By the middle of February, the Council Gardeners had completed their schedule of work within the Gardens with the dredging and clearing of the ponds. 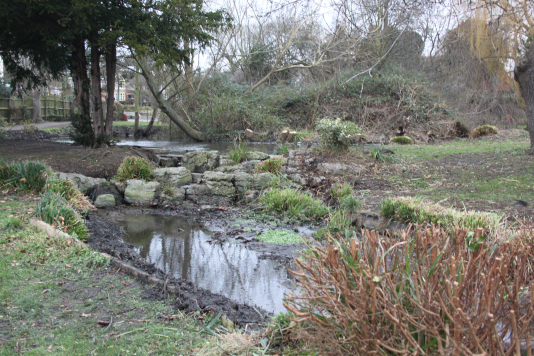 For the first time in years the water level raised and the wonderful sound of trickling water was heard again. 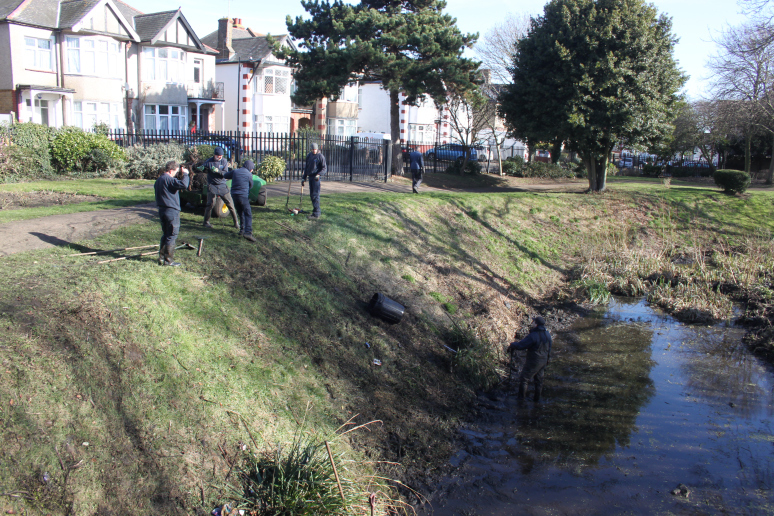 With years of rubbish and debris uncovered we were kept extra busy with litter picking and clearing up. 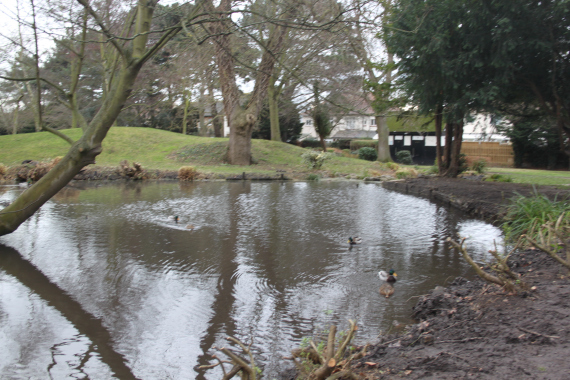 We notice that the ducks seem happier with the raised, free flowing water and we hope that they will breed more successfully than they have done in the past few years. 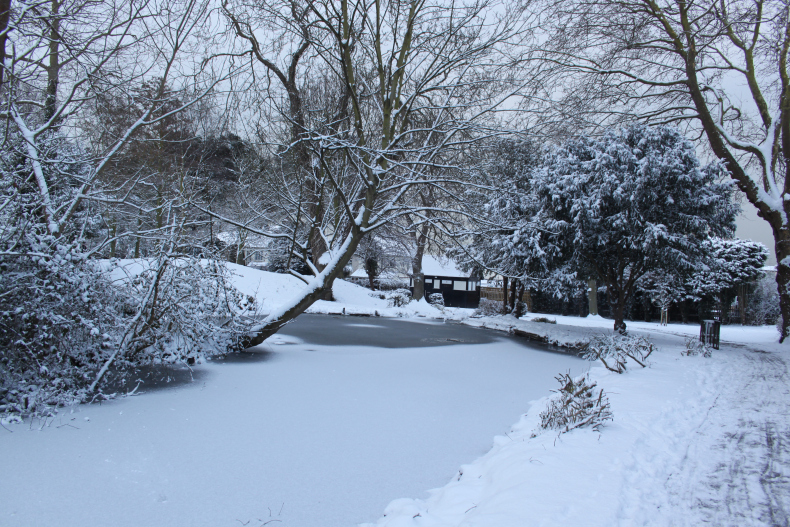 The snow arrived making the park look even more magical than usual.